When I was in sixth grade, I met a kid who was sitting in my homeroom. He was quirky, unique in so many ways, and clearly material for a lifelong friend. That was the day I met Alejandro Mejia. It was eight years ago, and we had absolutely no idea what our future held. It seems that starting at that moment, Alejandro and I continued our paths in life together throughout the way. He is an excellent musician, showing all of us up in middle school and driving all of us to be at his level in high school. He is one of the most hard working people I know, keeping his priorities straight and his eye on his future. He is passionate, dedicated, honest, and careful. I discovered all of this when I was in sixth grade, but as he became my best friend, my fellow co-captain in drumline, and my fellow classmate to this day at Drexel, he has showed me over and over again I wasn't wrong about him -- he was genuine. If nothing else in his life showed his immense dedication to character, morals, and inner strength, it was his first battle with cancer this year. He stayed strong, positive, and focused on his future still, which surprised me because I knew I couldn't do it, but didn't surprise me because Alejandro never loses sight of what is most important to him. He is the most financially careful person I know. He washes his hands before every single meal, and stayed far away when we were sick. The reason Alejandro needs help is because, beyond explanation, his cancer has returned in another form. There are parts of life we will never understand as humans, and they are so disgusting that we don't know what to do. 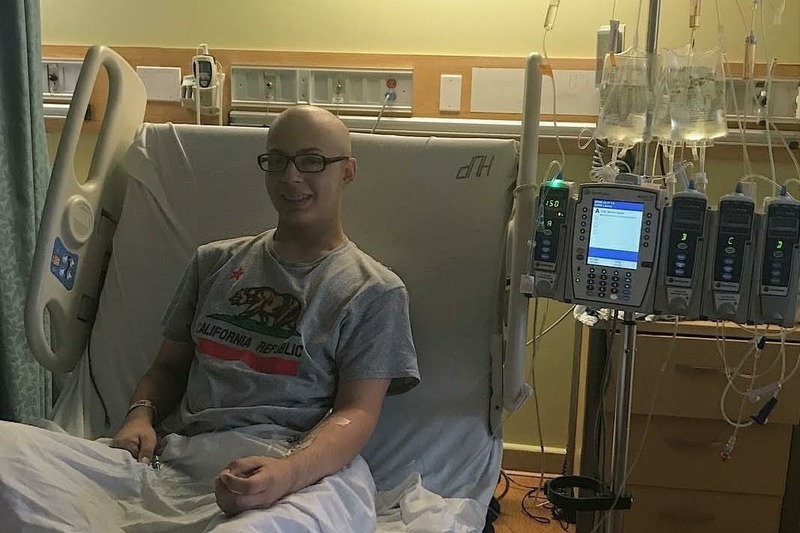 Why Alejandro is continuing to be bothered with this awful disease at such a young age is a question we can ponder forever, but I urge you to consider helping in a way I know we all can. I want you to just take a couple of seconds, and reflect on the issues you're struggling with right now. And I want you to take a look around the room and realize that despite those very real issues, you are able to get up and walk to the bathroom, you are able to eat whatever you choose, you are able to go to school, go to work, without putting your life on hold. You didn't beat cancer only for it to return again. Alejandro did. I'm starting a Go Fund Me for Alejandro because if nothing else, we can easily take a few moments from our day and provide him with monetary support, especially considering he is a full time student at an extremely expensive school. This awful disease unfortunately drains the monetary funds of those affected, which I find just awful, considering Alejandro's incredibly meticulous financial planning, almost to a point where I would get annoyed at him for not wanting to get food and spend money. Please, cancer will not stop Alejandro, I know that, but if we can help, we can make his time much, much easier. Thank you all very much, please consider sharing and donating to Alejandro Mejia for his second battle with cancer.